Under the guidance of Matt Barber, who trains a small group of heptathlon medal winners, Isabella transitioned from running at the Curtin Athletics Club to competing nationally. The gruelling seven-event sport has been a five-day-a- week activity for three years and last year she was named first in the State, and later fourth in Nationals. Next month Isabella will take to the national stage again in Sydney with the hopes of repeating top-five success. “I am hoping to get top five; I am currently ranked fourth in Australia,” she said. 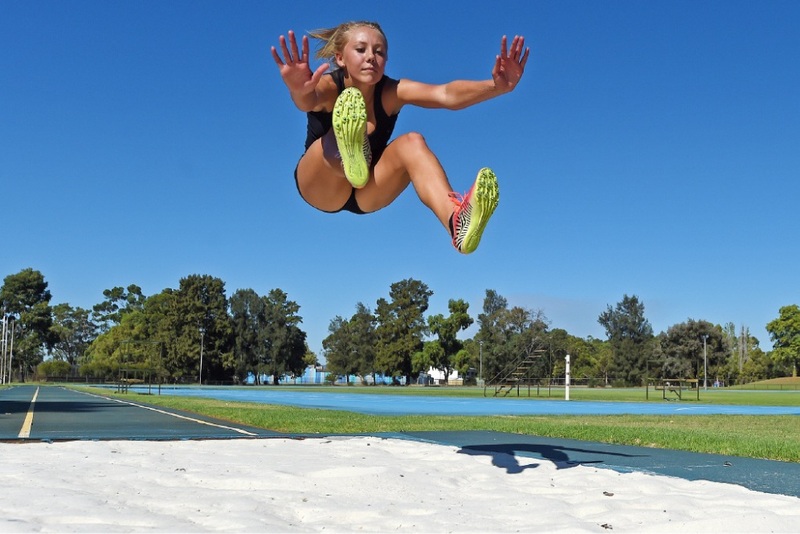 The Riverton resident is among an elite few in Australia who compete in the heptathlon, which combines 100m hurdles, high jump, shot-put, 200m run, long jump, javelin and 800m run. Last year 18 girls competed across Australia and six were West Australian. Isabella said meeting her other competitors was inspiring. “The competitors are a great group of people and I train with good people,” she said. Isabella’s gruelling schedule also includes regular local competitions but that does not deter her from studies at Rossmoyne Senior High School. “I’ve been involved in athletics for nine years and I really like it. I don’t see myself stopping soon,” she said.